It’s a win or go home bonus contest for over $100,000 when bitter city rivals Faulkland and Wadadah go head-to-head this Sunday, May 13, to decide the 2017/2018 champions of the Charley’s JB Rum Western CONFED Super League. The two are expected to engage in a fierce battle at Montego Bay’s premier longstanding venue, Jarrett Park, beginning at 6 p.m., as both seek title honours and bragging rights for a place in the All-Island Playoffs and a shot at Premier League qualification. Faulkland, the overwhelming favourites to hoist the title, will be gunning for a first-ever hold on the crown and with their talented squad, pundits have tipped them to get the better of their opponents. However, Wadadah, who have won the title before, and will be seeking a second in four years, are expected to be no pushover as they too have high expectations going into the contest. Wadadah hold the physical advantage going into the showdown as the first time the teams met earlier this season, the Daniel Ricketts-coached team, heavy underdogs, clipped their opponents 1-0 in a shock result. The former two-times National League champions are in high spirits going into the contest and their coach and former player, Ricketts, says morale and expectations are high ahead of the head-to-head clash on Sunday. Ahead of a training session on Thursday, Ricketts told the Western Mirror, “We can win it”. Ricketts also noted that two-goal hero, Obrian Robinson, is being watched and given a 50-50 chance to take his place after suffering a hamstring injury in the return leg semi-final. He was, however, quick to point out that should he lose the fitness race, “adequate replacement is available”. Meanwhile, Faulkland will be mindful of their opponents going in and their assistant coach, Gregory Palmer, is beaming confidence ahead of the contest. “I know it will be a difficult challenge; we are a confident bunch, we know our talents and capabilities, but we will also have to turn up on the day if we are to be victorious,” he noted. “We are ready and we are confident in what we have to do to get the job done. Wadadah is a solid and compact team but if we stick to the plan, we should get over the line. In the meantime, President of the FA, Gregory Daley, says although he is not picking any sides as the teams are both from the same parish, he is looking forward to an epic battle between the two. Wadadah and Faulkland earned their trips to the grand finale with contrasting semi-final aggregate wins over Reggae Youths and Harmony respectively. 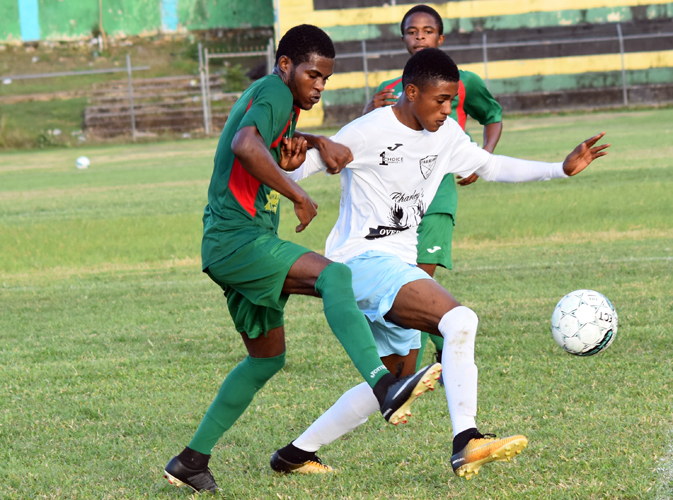 Wadadah totally outgunned Reggae Youths 4-2 on aggregate after losing the first leg 1-0, while Faulkland steam rolled Harmony 4-1, despite the Trelawny side offering stern resistance.